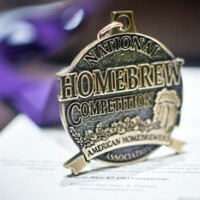 Boulder, Colo. (September 25, 2018)—The American Homebrewers Association (AHA) is calling for people of all parties to show off their brewing skills and submit their best homebrews for the 3rd annual Capitol Hill Staff Homebrew Competition. Any employee of legal age on Capitol Hill is eligible to enter the competition. This includes but is not limited to members of Congress and their staff, security personnel, custodial staff, etc. Date: All participants must sign up on the AHA website by October 31, 2018, with entries brewed and delivered to the judging location between November 18 and November 30. 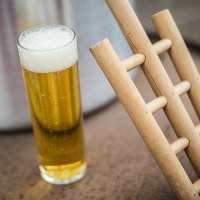 Styles: All beer styles are welcome, just make sure you have enough time to brew your beer! Judging will be done by certified beer judges and professional brewers, and all participants will receive tasting notes about their beer. 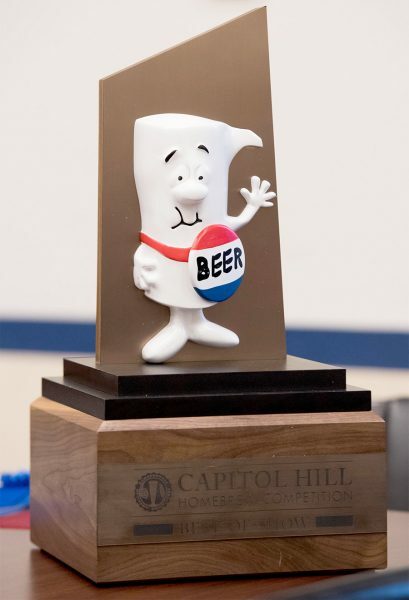 The category winners and Best of Show winner will be named during the ceremony on Capitol Hill on December 11, 2018, and forever be engraved on the prestigious Capitol Hill Staff Homebrew Champion Trophy. Full details can be found on BrewersAssociation.org.